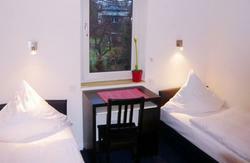 We are a quiet, tidy and comfortable hostel that is only a few steps from Elbe river, fish market, harbor and the famous entertainment districts of St. Pauli, Reeperbahn, Grosse Freiheit and Altona. St. Pauli and Altona. There you can find many clubs, pubs and discos. The famous fish market, only on Sunday morning from 05:00 to 10:00, is also near and it is the best place to experience the real Hamburg. In the market you can see music bands perform live. The same in Altona, they come from all over the world to play for you in the streets of this amazing district! rent from us 3 Euro/Set. and a towel for €1. so your travel can be lighter. We provide free internet access. We have an office center so you can easily print your documents. You can use our washing machine and dry your clothes. - You Take S-Bahn S1 to 'Konigstrasse'. 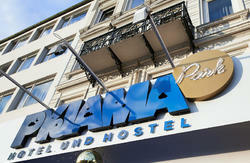 - The hostel is on the opposite side of the exit 'Konigstrasse'. From Hamburg Central Railwaystation or Bus Central 'ZOB'. 'Altona' we are only 1 station with S1 or S3 from there.